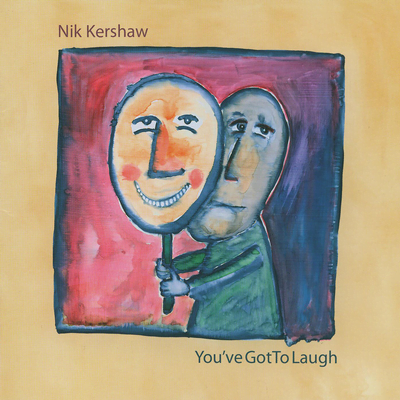 You’ve Got To Laugh is the seventh studio album by Nik Kershaw, released on 26 October 2006 under his own record label. “‘You’ve Got to Laugh’ took about five years to get together. That wasn’t intense recording, obviously. I just waited until I’d got enough tracks and that was the time to release it. Had it not been for my girlfriend, it probably wouldn’t have been released at all. “Six-year hiatus. Got myself a bit lost. Aimless doodlings and unfinished songs. Focus needed. Focus arrives (Sarah, girlfriend – wife to be). New energy and self-belief. Drums at Tufty’s with Julian Bown. Simon Phillips emails me the drum tracks to “Old house”, “Can’t get arrested” and “She could be the one”. Mix myself at home in attic above cart lodge.